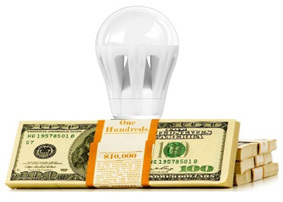 Current rebate and incentive programs can delay incentive payouts up to 9 months. Result: larger contractors are cash constrained, smaller ones are squeezed out of the market. AEC’s Incentive Funding Program buys qualified rebates for cash on affordable, fixed-price terms, immediately easing financial pressure without eating up profits. We take the risk. There are no penalties for delayed payments. No claw backs for bad-pays (provided you act in good faith). Contractors can do more business and get better terms thanks to the ability to make timely payments. 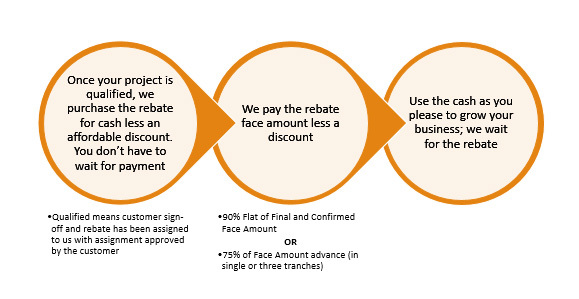 Once a discount is agreed to, you always know what to expect in return for immediate cash.